Construct an easy-going look in this top from Ira Soleil. Your skin will love the feel of this top as it is fashioned using polyester fabric. 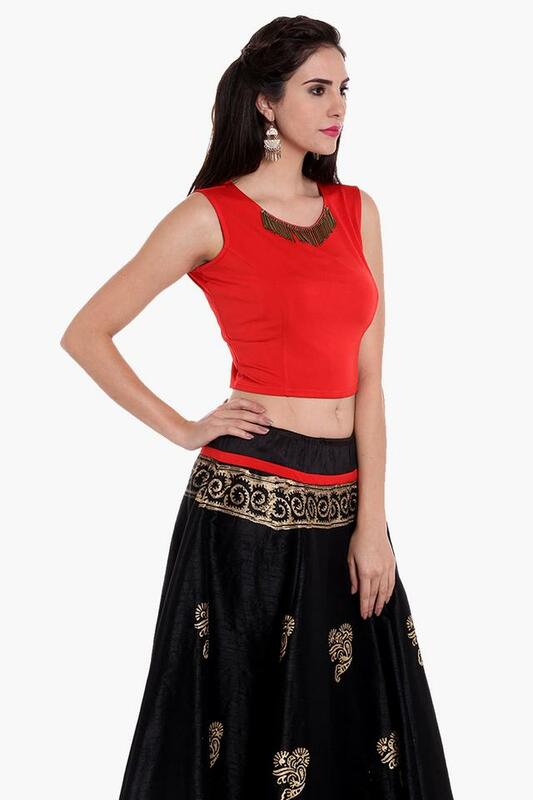 Featuring a round neck and solid pattern along with beads work over the neckline, this top boasts of enticing panache. Flaunt your style with this top from Ira Soleil. Team this top with a skirt and sandals to look effortlessly stylish.